It’s been a busy season here in Hakuba for many of the locals including myself (hence the lack of blogging). I have however, been taking lots of photos and have lots more information on the area so I can start offering some more tips about the place. As usual, March has been dishing up the goods with consistent weekly snowfalls to offer us our powder fix along with some perfect bluebird days in between. There is still plenty of snow around with top to bottom skiing everywhere and the resorts will be open until the first week of May. Spring skiing is fantastic here so get out to Hakuba and enjoy the fresh mountain air. 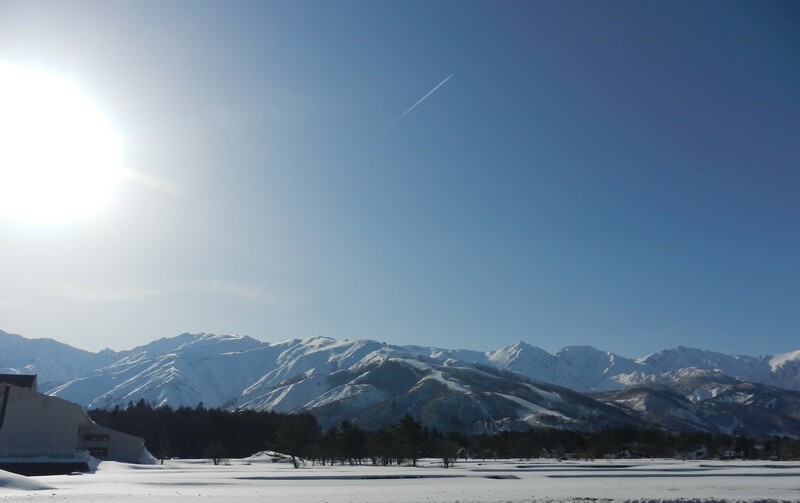 This entry was posted in Hakuba and tagged Hakuba, Happo One, skijapan, snowjapan, spring skiing, spring snow, travel. Bookmark the permalink. Oh I MISS MISS MISS IT! It is a truly beautiful spot. Add the massive amounts of snow to it and it is just heaven for snowlovers. I miss HAKUBA very much and miss your lovely breakfast! See u in Spring! Maggie from Malaysia. It seems so long ago since you were here Maggie. I hope all is well back there in Malaysia.